Our next Priest Training Conference in St Cuthbert's Seminary, Ushaw, Co. Durham, will be later in the year than the others have been, because of the late date of Easter. It will be 8th to 13th August. Don't let the location put you off, it is near Durham which is on the main train line. Durham is a truly wonderful historic city - a world heritage site, a stunning Norman Cathedral and Castle. The priests usually have a little outing there during the Conference. Ushaw College itself has a breathtaking chapel and quite exquisite chapels for private Masses; really, there is nothing like it. See lots of photos here. I'm still away, but here is something very unusual, and wonderful, from my local Oxford singers. The Schola Abelis singing at the LMS Pilgrimage to Our Lady of Caversham, on the Ember Saturday of Lent. This is the Introit, Intret oratio mena, followed by the Kyrie of La Messe de Nostre Dame by Guillaume de Machaunt. For more on the Mass see here. "Here we see Newman's fine Christian realism, the point at which faith and life inevitably intersect. Faith is meant to bear fruit in the transformation of our world through the power of the Holy Spirit at work in the lives and activity of believers. "No-one who looks realistically at our world today could think that Christians can afford to go on with business as usual, ignoring the profound crisis of faith which has overtaken society, or simply trusting that the patrimony of values handed down by the Christian centuries will continue to inspire and shape the future of our society. "We know that in times of crisis and upheaval God has raised up great saints and prophets for the renewal of the Church and Christian society; we trust in his providence and we pray for his continued guidance. But each of us, in accordance with his or her state of life, is called to work for the advancement of God's Kingdom by imbuing temporal life with the values of the Gospel. "Each of us has a mission, each of us is called to change the world, to work for a culture of life, a culture forged by love and respect for the dignity of each human person. "As our Lord tells us in the Gospel we have just heard, our light must shine in the sight of all, so that, seeing our good works, they may give praise to our heavenly Father." with the assistance of Nigel Kerry, of the Church of Our Lady and the English Martyrs, Cambridge. 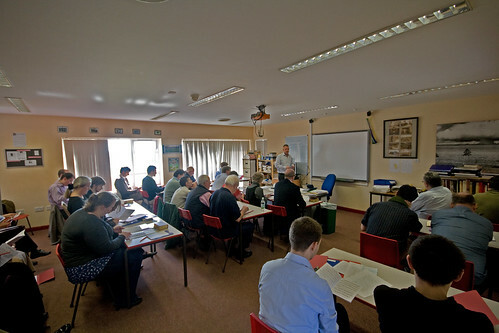 See here for a report of last year's course. "The evangelization of culture is all the more important in our times, when a "dictatorship of relativism" threatens to obscure the unchanging truth about man's nature, his destiny and his ultimate good. There are some who now seek to exclude religious belief from public discourse, to privatize it or even to paint it as a threat to equality and liberty. Yet religion is in fact a guarantee of authentic liberty and respect, leading us to look upon every person as a brother or sister. "For this reason I appeal in particular to you, the lay faithful, in accordance with your baptismal calling and mission, not only to be examples of faith in public, but also to put the case for the promotion of faith's wisdom and vision in the public forum. Society today needs clear voices which propose our right to live, not in a jungle of self-destructive and arbitrary freedoms, but in a society which works for the true welfare of its citizens and offers them guidance and protection in the face of their weakness and fragility. Do not be afraid to take up this service to your brothers and sisters, and to the future of your beloved nation." The central question at issue, then, is this: where is the ethical foundation for political choices to be found? The Catholic tradition maintains that the objective norms governing right action are accessible to reason, prescinding from the content of revelation. According to this understanding, the role of religion in political debate is not so much to supply these norms, as if they could not be known by non-believers - still less to propose concrete political solutions, which would lie altogether outside the competence of religion - but rather to help purify and shed light upon the application of reason to the discovery of objective moral principles. This "corrective" role of religion vis-à-vis reason is not always welcomed, though, partly because distorted forms of religion, such as sectarianism and fundamentalism, can be seen to create serious social problems themselves. And in their turn, these distortions of religion arise when insufficient attention is given to the purifying and structuring role of reason within religion. It is a two-way process. Without the corrective supplied by religion, though, reason too can fall prey to distortions, as when it is manipulated by ideology, or applied in a partial way that fails to take full account of the dignity of the human person. Such misuse of reason, after all, was what gave rise to the slave trade in the first place and to many other social evils, not least the totalitarian ideologies of the twentieth century. This is why I would suggest that the world of reason and the world of faith - the world of secular rationality and the world of religious belief - need one another and should not be afraid to enter into a profound and ongoing dialogue, for the good of our civilization. Religion, in other words, is not a problem for legislators to solve, but a vital contributor to the national conversation. In this light, I cannot but voice my concern at the increasing marginalization of religion, particularly of Christianity, that is taking place in some quarters, even in nations which place a great emphasis on tolerance. There are those who would advocate that the voice of religion be silenced, or at least relegated to the purely private sphere. There are those who argue that the public celebration of festivals such as Christmas should be discouraged, in the questionable belief that it might somehow offend those of other religions or none. And there are those who argue - paradoxically with the intention of eliminating discrimination - that Christians in public roles should be required at times to act against their conscience. These are worrying signs of a failure to appreciate not only the rights of believers to freedom of conscience and freedom of religion, but also the legitimate role of religion in the public square. I would invite all of you, therefore, within your respective spheres of influence, to seek ways of promoting and encouraging dialogue between faith and reason at every level of national life. "You form new generations not only in knowledge of the faith, but in every aspect of what it means to live as mature and responsible citizens in today's world", said the Holy Father. "Education is not and must never be considered as purely utilitarian. It is about forming the human person, equipping him or her to live life to the full - in short it is about imparting wisdom. And true wisdom is inseparable from knowledge of the Creator". "This transcendent dimension of study and teaching was clearly grasped by the monks who contributed so much to the evangelisation of these islands", he said. "Since the search for God, which lies at the heart of the monastic vocation, requires active engagement with the means by which He makes Himself known - His creation and His revealed word - it was only natural that the monastery should have a library and a school. ... It was the monks' dedication to learning as the path on which to encounter the Incarnate Word of God that was to lay the foundations of our Western culture and civilisation". The Holy Father thanked the members of the teaching orders which, he said, "have carried the light of the Gospel to far-off lands as part of the Church's great missionary work. ... Often", he told his audience, "you laid the foundations of educational provision long before the State assumed a responsibility for this vital service to the individual and to society. 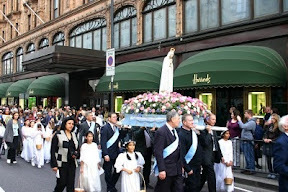 'As the relative roles of Church and State in the field of education continue to evolve", the Pope added, "never forget that religious have a unique contribution to offer to this apostolate, above all through lives consecrated to God and through faithful, loving witness to Christ, the supreme Teacher. Indeed, the presence of religious in Catholic schools is a powerful reminder of the much-discussed Catholic ethos that needs to inform every aspect of school life. This extends far beyond the self-evident requirement that the content of the teaching should always be in conformity with Church doctrine". I would like to pay particular tribute to his vision for education, which has done so much to shape the ethos that is the driving force behind Catholic schools and colleges today. Firmly opposed to any reductive or utilitarian approach, he sought to achieve an educational environment in which intellectual training, moral discipline and religious commitment would come together. 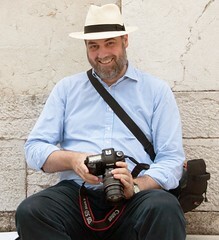 The project to found a Catholic University in Ireland provided him with an opportunity to develop his ideas on the subject, and the collection of discourses that he published as The Idea of a University holds up an ideal from which all those engaged in academic formation can continue to learn. And indeed, what better goal could teachers of religion set themselves than Blessed John Henry’s famous appeal for an intelligent, well-instructed laity: "I want a laity, not arrogant, not rash in speech, not disputatious, but men who know their religion, who enter into it, who know just where they stand, who know what they hold and what they do not, who know their creed so well that they can give an account of it, who know so much of history that they can defend it" (The Present Position of Catholics in England, ix, 390). On this day when the author of those words is raised to the altars, I pray that, through his intercession and example, all who are engaged in the task of teaching and catechesis will be inspired to greater effort by the vision he so clearly sets before us. For the 4th Centenary of Bl George Napier, martyred in 1610, with Archbishop Bernard Longley. 11am Solemn Mass in Blackfriars, St Giles’, Oxford. 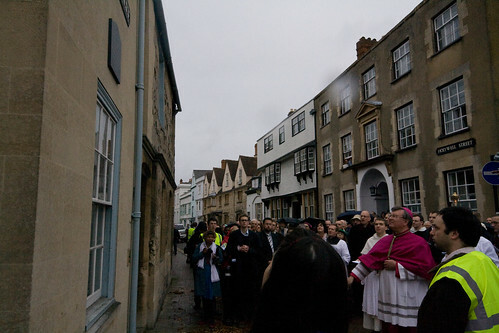 2pm Procession led by Archbishop Bernard Longley, who will bless a plaque marking the site of the martyrdom. The church of Blackfriars is the Priory Church of the Oxford Dominican community in Oxford, located on the West side of St Giles, OX1 3LY. There is limited stay parking in St Giles and Wellington Square, and car parks in Gloucester Square, Worcester Street and Westgate. Bl George Napier (or Napper) was born in Holywell Manor, Oxford, in 1550, and attended Corpus Christi College 1566-1568, until ejected for recusancy. He was ordained in Douai in 1596 and was sent on the English mission in 1603. He was captured near Kirtlington, north of Oxford, in July 1610, and was executed on the Castle gallows on 9th November the same year. He was beatified in 1929 by Pope Pius XI. by the Rt. Rev. Dr. Challoner Vicar Apostolic. Slow posting I fear for a couple of weeks; listen to this, however, from my local Oxford schola. The Schola Abelis sing at a Votive Mass of Our Lady on 19th June 2010. Here they are singing a motet at Offertory, Ave Maria by Francisco Guerro. Mass was sung by Fr Simon Leworthy FSSP, in the private chapel of Milton Manor House, a historic Catholic house near Abingdon. On Friday I was at a reception given by the Catholic Herald in honour of the Papal Visit, and saw two people who had letters next to mine in the letters page. Well it's a small world! Last week I had a letter quoting extensively from official documents to back up the point for which I have been criticised: that liturgical abuses have been a major cause of lapsation, and that the Extraordinary Form of the Roman Rite - the 'Traditional Mass' - is part of the solution to the problem which we face. My point was that it is not just me saying this - it is the Holy Father, who notes the pain caused by abuses, and goes on to express the hope that the Traditional Mass will influence the way that the New Mass is said. Why? Because the abuses are typically an attack on the sacrality of the Mass, and the Traditional Mass is particularly noted (by the Holy Father) for its sacrality. This is all in the letter accompanying the motu proprio - if you don't like it, don't complain to me, complain to Pope Benedict! The aspects of this analysis less spelt out in the letter are made abundantly clear in Redemptoris Sacramentum, an Instruction from the Congregation for Divine Worship 'in collaboration with' the Congregation for the Doctrine of the Faith, at that time under Cardinal Ratzinger. One of the useful things about this document, published in 2004, is its honesty in admitting the enormity of the problem: in 'some places' (and we all know a few) abuses have become 'almost habitual' (section 4). That is extraordinarily strong language for such documents, and gives the lie to the claims that the problem went away in the 1980s. It pays to be familiar with these documents. A correspondent in last week's Catholic Herald came a serious cropper by quoting a version of the motu proprio ('MP') Summorum Pontificum which was redacted by the Holy See before getting into the Acta Apostolicae Sedis ('Acts of the Apostolic See'), which is the official record of Papal documents. What is in the Acta is definitive; until the Acta is published we are dealing with an unofficial text. This particular change caused much comment - see Fr Zuhlsdorf for example (and here). But this clearly passed a certain Tom McIntyre by, and he is merrily quoting the un-revised version nearly three years after the confusion has been cleared up. But not by coincidence, for the original Latin refers to a group (coetus) asking for the Traditional Mass which had existed 'continenter'. It was clear enough to the fair-minded reader that this was meant to contrast with the temporary groups which exist when a wedding, funeral or pilgrimage takes place: people who don't normally worship together gather and then disperse. A temporary group like that has the right to ask for the Traditional Mass under the MP section 3; an on-going group, existing continuously, also has the right to ask for the Mass under the MP section 5. And of course priests could say it off their own bat. Nevertheless, some commentators claimed, on the basis of the original version, that the Traditional Mass could only be said if requested by a group existing 'continenter', and these commentators then set to work to make this phrase as restrictive as possible. It must be an enormous group. All its members must come from a single parish. And it must not only have existed 'continuously' but have been attached to the Traditional Mass 'continuously', ever since before the Missal of Paul VI was published, in fact. Tom McIntyre (Letters, 3rd Sept) paraphrases the Holy Father's motu proprio Summorum Pontificum as giving 'those uninterruptedly (continenter) attached to it their right to participate in it.' 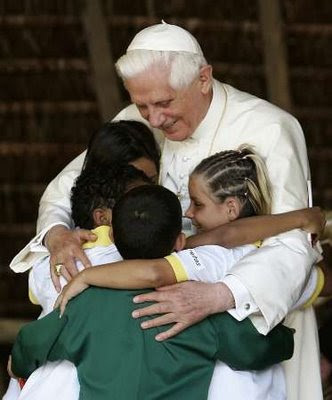 He must be puzzled, then, that the Holy Father also observes that 'young persons' have found the Traditional Mass 'particularly suited to them', since according to Mr McIntyre such persons, born after the Council, are unlikely to have been 'uninterruptedly' attached to the Mass in that form. The notion that only those who knew the Mass before 1970 have a 'right' to ask for it today is an old canard; it hardly coheres with the authorisation of new religious orders whose mission is to offer the Traditional Mass and Sacraments to new generations of Catholics. Clearly wishing to head off such misunderstandings, the Holy See revised the text of the motu proprio when the definitive text was finally published, and, if he goes to the Vatican website, Mr McIntyre will find that the word 'continenter' no longer appears in the document. Instead it refers to those who 'stably adhere' to the Mass in the older form: 'coetus fidelium traditioni liturgicæ antecedenti adhærentium stabiliter exsistit'. Such a group has a right to ask for it, and the pastor should receive such a request willingly ('libenter') (Article 5 Section 1). Age is irrelevant. But this is just one provision of the motu proprio. In Section 3 we learn that, in addition, it should be allowed for 'special celebrations', such as weddings, funerals, and pilgrimages: these are cases where there is no 'stable group'. Furthermore, in Article 2, any priest is permitted to say the Traditional Mass, without any lay request for it; in Article 3 any order or religious community may adopt it. Article 4 makes the point that these non-requested Masses can be attended by any member of the faithful who wishes to go. Capping all of these provisions, Article 1 says the Traditional Mass has never been abrogated: special permissions with conditions attached are no longer at issue. The era of specially permitted Traditional Masses in the chapels of old peoples' homes have long gone. The old liturgical books are increasingly used for weddings and baptisms. For many years now the Archdiocese of Westminster has provided a bishop to confer the Sacrament of Confirmation in the Traditional form, in a service organised by the Latin Mass Society. The Holy Father refers to this liturgy as 'sacred and great', not only in the past but 'for us too'. It is a patrimony which should not be denied to future generations. Alongside my letter were several others on related subjected. As well as letters lamenting the problems caused by liturgical abuses, Daphne MacLeod suggested that it was catechesis, not the liturgy, which caused lapsation in the 1970s and later. I certainly wouldn't dispute the importance of sound catechesis; this simply wasn't the subject of the correspondence. However Mrs MacLeod uses arguments which I don't find entirely convincing in trying to separate the different causes at work by reference to the experience of Africa and the Soviet Bloc. She has used these before, and I have addressed them on this blog before. Another letter was from Fr Leo Chamberlain OSB, which interestingly claimed that the youthful doubts of many of his contemporaries in the 1950s were successfully addressed by the exciting new perspectives given by Vatican II. I'm happy to take his word for it; I assume he'll take my word for it that what later generations were offered, in the 1980s and 1990s and beyond, did not successfully address many of our youthful doubts. In fact there's no need to take anyone's word for it - just look at the statistics. He also returns to a well-worn theme (of his) about my use of the term 'Traditional Mass'. He says we should use the terminology used by the Holy Father; the difficulty of this argument is sufficiently demonstrated by his failure to follow his own advice (he keeps reverting to his own invention, 'the Old Form'), as I pointed out on this blog the last time he treated readers of the Catholic Herald to these views of his. All I would add is that insisting on using technical vocabulary from legal documents instead of the vernacular - the terms people actually use - makes one look stupid. The Quixotic attempt to get Catholics to call Confession 'the Sacrament of Reconciliation' has produced nothing but momentary confusion over the years; it is never likely to change popular usage. The attempt by Lady Thatcher's government to insist on 'the Community Charge' when everyone was talking about 'the Poll Tax' just made them look out of touch. I'm all for a linguistic free market. It's the reality behind the words which is important. Just got round to watching this - well made, good stuff. I met Dr John Rao for the first time at the conclusion of the Chartres Pilgrimage. For the last few years, however, I have been an avid listener to his and other Roman Forum talks dowloaded from keepthfaith.org. Unpolemical, systematic, totally Catholic, they offer an extremely perceptive education in Catholic and history and culture in the commute to work or while you are sitting in traffic jams. The origin of the mp3s is an annual conference in Italy - it sounds tremendous. Here are more details. should go to the Remnant site (www.remnantnewspaper.com) to visit them...and stir his appetite for participation still further. For nearly two weeks during the summer, a small Italian resort on Lake Garda, the largest and most beautiful lake in Italy, is literally transformed into an international Catholic village, with daily traditional masses, lectures, Catholic camaraderie, superb food and wine, and day trips to surrounding sites, such as Venice. For participants, many of whom come back year after year and feel like family, it is a rare and wonderful opportunity to experience Catholic life on the continent where Catholic culture first came to flower. The Summer Symposium hosts a large international faculty, which has included Dale Ahlquist (President of the G.K. Chesterton Society of America), Christopher A. Ferrara, Esq. (President of the ACLA, writer and pro-life activist), Michael Matt (editor of The Remnant), Fr. Gregory Prendergraft (Fraternity of St. Peter), Dr. Patrick M. Brennan (John F. Scarpa Chair in Legal Studies, University of Villanova), Dr. Brian McCall (University of Oklahoma), Professor John Médaille (University of Dallas), the Rev. Dr. Richard Munkelt (Fairfield University), and myself from the United States; Monsignor Dr. Ignacio Barreiro-Carámbula (Human Life International) and Dr. Danilo Castellano (University of Udine) from Italy; James Bogle, Esq. (Catholic lawyer, activist, and writer) from the United Kingdom; Dr. Miguel Ayuso-Torres (University of Madrid) from Spain, and many others. 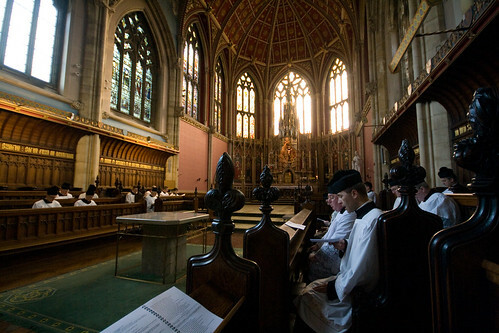 Faculty and students are served spiritually by a large number of priests from the secular and religious clergy. civilization. We expect much the same faculty to be present, along with the addition of James Kalb (author of The Tyranny of Liberalism) from the United States, Dr. Thomas Stark (Philosophisch-Theologische Hochschule, St. Pölten) from Austria, and Bernard Dumont (editor of Catholica) from France. A special honor will be the participation of Hervé Rolland, President of Notre Dame de Chrétienté, the organization responsible for the annual Chartres Pilgrimage. Please consult our website (www.romanforum.org) for more complete information on the 2011 Gardone Summer Symposium, as well as all our other future events, including our annual New Year’s Eve Dinner Dance (details on back of this letter), and any additional Modern Image and Catholic Truth programs. purchase on audiotape at www.keepthefaith.org. In order to undertake these projects properly, the Roman Forum needs an annual budget of $50,000. Where do these funds go? Mailings, advertising, books, storage space for them, and use of conference halls alone now cost us at least $15,000 per year. More importantly, college students, priests, and seminarians hoping to attend the Summer Symposium cannot be present without some financial assistance. Although no one on the teaching faculty receives any compensation for his work there, the daily expenses of all those delivering papers in Gardone must also be covered. Aiding both speakers and participants therefore takes up almost all of the rest of our annual budget. But why should we place such an emphasis upon this Summer Symposium? Really Expendable? (see jcrao@freeshell.org) underlines the same point. Providing faculty, priests, and students scholarships for such a program can be expensive---but its incalculable fruits will be more and more seen in preaching, teaching, and writing in the years to come. These fruits would be even greater if we could ever realize our greatest dream: the expansion of this magnificent international program into a summer long venture, enabling students to earn college credits for their labors. The Roman Forum may not be able to promise immediate benefits---like a tax cut---through your aid, but we work, as Thucydides said, with the conviction that what we are doing is being done for eternity. As I have written in the past, we consider every tax-deductible donation we receive to place upon us a serious responsibility to use our resources well and wisely. To show you our appreciation, we have arranged that the intentions of our benefactors be remembered once a month at a traditional Mass offered in Rome by our chaplain, Msgr. Ignacio Barreiro-Carámbula. With the acknowledgment of your donation, of any size, you will receive a note confirming that you have been enrolled in these Masses. I thank you in advance for your generosity. This morning I went to the Westminster 'Cathedral Treasures' exhibition, which I see is now described as 'permanent'. There are some lovely things there, and I recommend it. It is interesting to note how the extent of the organisers' unfamiliarity with the Church's liturgical traditions has hampered them. 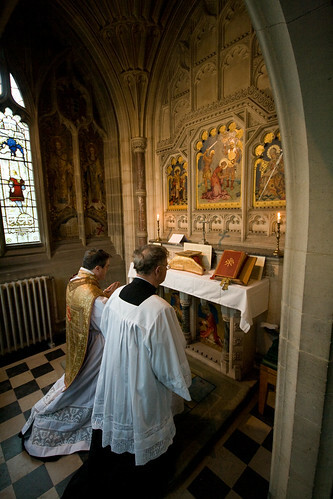 As Fr Anthony Symondson remarks in a review in the current Catholic Herald, it must be ignorance of liturgies celebrated ad orientem which prompted them to display vestments with their richly decorates backs against the wall. Another example is the candlesticks for funerals being displayed with bleached, not unbleached, candles in them. There is also an astonishing mistranslation of Latin. Cardinal Manning's motto, embroidered on his cope, is 'Malo mori quam foedari'; this is translated 'I prefer death to compromise'. But 'foedari'' means 'to be dishonoured' not 'to compromise (the fact that it is a passive infinitive should be a clue). John Hunwicke, Anglo-Catholic vicar and former Latin teacher, expostulates here. Perhaps they should have had a trad advisor: all the stuff here was intended for the Traditional Mass and asociated ceremonies. Sorry for the problem with the old URL. Following my exchange of letters with Bernard Tiley in The Catholic Herald, Mr Tiley wrote again - and again I have responded. My letter is in the current edition. Mr Tiley's letter from last week merely reiterates what he said before, at greater length. The most salient point in his letter, however, is his repeated insistence that he can't understand what I'm saying. His words are in blue, my comments in red. Saying that lapsees are not 'serious' and have wrongly placed personal preferences above participation in the Eucharist sounds like blame to me. But the last admission is simply astonishing. Misguided, certainly, sinful, obviously, but surely we can have compassion for the lost sheep, the man who fell among thieves, the prodigal - didn't Our Lord say something about this? Well yes, the Blessed Sacrament is the Bread of Wayfarers, which sustains the Christian life through the difficulties presented by the World. Lapsing means missing out on this - and on Confession, and probably Extremen Unction. Salvation becomes harder if you abandon the Sacraments - let us put it no more strongly than that. Making it harder to continue to practice the Faith, by imposing liturgical hurdles on the faithful, ipso facto makes it harder for them to get to heaven. I do not think it right, for example, to try and "sell" the Tridentine liturgy by denigrating the Novus Ordo. Also, I do not think there is anything to be gained by continuing this dialogue, so I suggest that Dr Shaw and I agree to differ, and I wish him well. I wish Mr Tiley well too, come to that, but I haven't 'denigrated the Novus Ordo' in this correspondance, and I wouldn't see that as the best - or any - way to 'sell' the Traditional Mass, if I were in the 'Mass selling' business, whatever that might be. 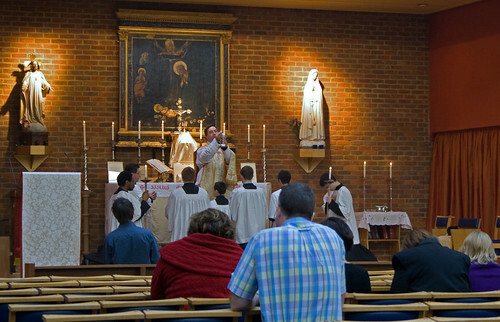 It is presumably legitimate to promote particular devotions; this happens a good deal in the Catholic Church, and this is what the Latin Mass Society, like many Catholic organisations, is engaged in. However I replied as follows - the letter has been published in the current edition. Mr Tiley (Letters, 27th August) reiterates his criticism of my observation that poor liturgy has been a factor in the lapsation of many people growing up after the Second Vatican Council. Since he remains ‘baffled’, I will attempt to clarify the situation. For people of this generation – my own – there is seldom any question of ‘liturgical preferences’. We experienced a fairly narrow range of variations on the Mass of Paul VI, larded with liturgical abuses. The ones who lapse are not liturgical experts; they are victims – a word Mr Tiley professes not to understand – of a liturgy (and catechesis) which fails to present to them the fullness of the Faith.